As you age, your testosterone levels naturally start to decrease. As levels drop you might find that you lose strength, muscle mass and muscle endurance which can have a massive effect on your athleticism. Not only that, but you’ll find that your libido and sexual performance decrease as well, and your risk of long-term illness starts to creep up. 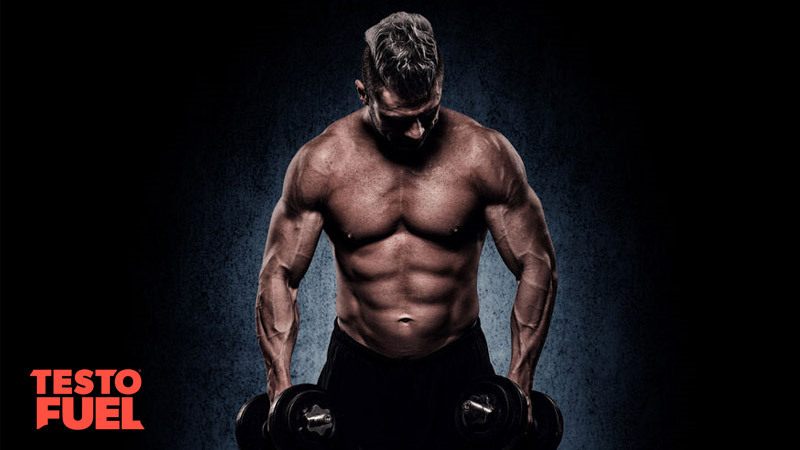 It is important that you do all you can to keep levels elevated by working hard in the gym, eating healthily and supplementing your diet with nutrients that help to stimulate and regulate testosterone production. Scientific research is buzzing with a whole host of key nutrients that have been shown to boost T production in the most rigorous of studies. But there are also some nutrients used in supplements that just don’t cut it. In this article we’ll take a look at grape seed extract and tell you whether it should be one of your go-to nutrients, or not worth the money. Grape seed extract (GSE) comes from the ground-up seeds of the red grape, and is largely a by-product in the wine making process. As you can imagine, wine making has been around for hundreds of years, but only very recently have manufacturers started to look at GSE as being a useful food source rather than just wine making wastage. It provides a small number of bioactive compounds such as procyanidins, and dependent on the origin of the grape itself, levels of this compound may be as high as 81% by weight. 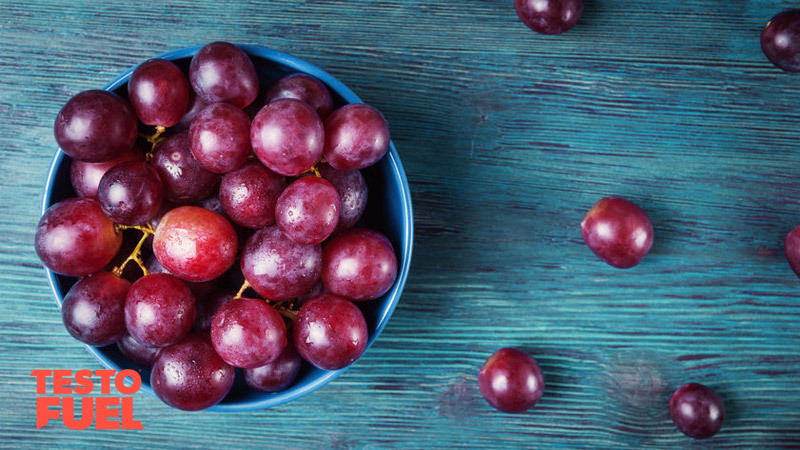 Despite being found in grapes, GSE shares no similarity to the potent antioxidant resveratrol. In fact, procyanidins are chains of catechin molecules, which means that it shares more similarities with the green tea extract ECGC than actual red wine. Whilst red grapes are full of vitamins, minerals and resveratrol, the oil extract has less potent nutrient properties. As resveratrol is found in the skin of the grape, you’ll find very little, if any at all in GSE. One tablespoon of GSE will give you around 120 kcal and 14g of fats. From these fats, around 70% is polyunsaturated fats and 16% monounsaturated. It is particularly high in omega-6 fatty acids. There is no real micronutrient content in the oil other than vitamin E – and even that isn’t a great amount. The lack of vitamins and minerals hasn’t stopped marketing companies from touting it as being a healthy alternative to other oils though. But science doesn’t really confirm that many benefits. Key Point: Grape seed extract is high in omega-6 polyunsaturated fatty acids and has a modest vitamin E content. A good place to start here would be to tell you that not all grape seed extract is made equally. In order to extract the oil from the seed, it needs to be pressed first – and this can really affect the quality of the oil. There are two main methods of extraction to do this. The healthier method involves cold pressing which is simply using a hydraulic press without heat to separate the fiber, oil and enzymes of the seed. It requires no chemicals. Alternatively, GSE can also be extracted using more industrial processes involving chemicals such as hexane. This is a common method to maximize the oil content of the extract, but can often leave hexane residue. In order to boost health it is vital that only cold pressed GSE oil finds its way into your diet. Either that or run the risk of contaminated extract with potenital toxicity. Take it as given that if it doesn’t say that it’s cold pressed on the product packaging, it’s been pressed using chemicals. A look at the research into GSE and health benefits brings up a mixture of results. Some studies show that the seed oil can reduce inflammation by inhibiting a type of white blood cell called a macrophage, but there are also studies that show seed oils high in omega-6 polyunsaturated oils can increase not only inflammation and inflammatory disease, but risk of heart disease too [1,2]. Occasional research shows that GSE may be useful in reducing blood pressure, although doesn’t influence either lipid or blood glucose levels . Blood pressure reduced by a significant but small amount of 1.45mmHg. but used participants with metabolic disease – caution obviously has to be taken when transferring these results to healthy populations. The only health marker which seems to reliably improve with supplementation of grape seed extract is that of blood flow – but only at high doses. Studies show that between 2-4g can enhance blood flow or ‘vasodilation’, particularly in those at high risk of heart disease . Key Point: Grape seed extract isn’t as healthy as other oils. It may improve some aspects of autonomic function in clinical populations but these are few and far between. Does Grape Seed Extract Boost Testosterone? There’s actually not much research on grape seed extract and testosterone – it’s a very under studied nutrient. The studies that have linked the two aren’t that convincing either which makes you wonder why supplement companies are selling it as a T-booster in the first place. As a tentative link, there is some evidence that it can slow down damage to the testes caused by toxins such as alcohol. In a study published in Molecular and Cellular Biochemistry , researchers found that over a 10-week period, 75mg per kg of body weight GSE reduced the 36% decrease in testicular weight to 12%. So it might reduce testicular damage, but that won’t increase testosterone. There are a couple of studies that have found GSE to inhibit aromatization – the process by which the body converts testosterone to the female hormone estrogen. For example, one study  found that the procyanidin content of the seed extract inhibited aromatase in a dose-dependent manner. This is most certainly beneficial for keeping estrogen at bay, but it doesn’t however suggest that testosterone levels would increase, only slow down the rate at which they convert to female hormones. This by no means suggests that grape seed extract boosts testosterone. 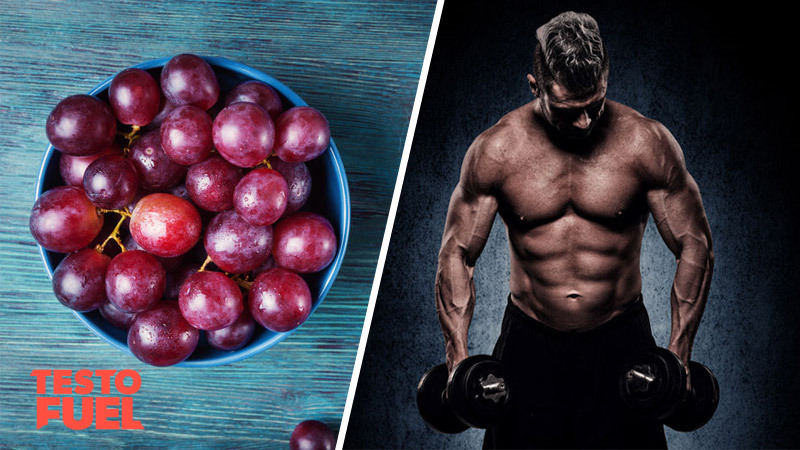 Ultimately, it is far too early to say in confidence that grape seed extract can increase testosterone levels as there aren’t any human studies that link the two directly. And whilst inhibiting aromatization is a step in the right direction, GSE cannot compete with other nutrients such as zinc, D-apartic acid or vitamin D that can directly influence T-boosting. Key Point: Grape seed extract might decrease aromatization and even improve blood flow but there is currently no evidence that it directly increases testosterone. Grape seed oil is a product that derives from the by-product of the red grape. It is high in procyandins and omega-6 polyunsaturated fats but has very little micronutrient content other than a modest amount of vitamin E.
Although sold as a health product, GSE has very little research behind it to back up the claims made by manufacturers. Some studies have found that it improves autonomic functions, whereas other studies show that seed oils can increase inflammation. It has even less research behind it when it comes to its potency as a T-booster, with its only benefits being that it may act as an aromatase inhibitor and can potentially improve blood flow. There are other, more reliable nutrients available that act directly on your male hormone levels and would be a far better option.